Spring has sprung and the clock sprung forward this morning. Albeit I wish that I hadn't lost an hour of my life, it's an inescapable cycle that we go through every year. So instead of feeling negative about it, I thought today I'd share something that always makes me very happy. It's my personal collection of Chanel handbags. My nearest and dearest knows that if there is one thing that I indulge myself with is luxury designer handbags. And growing up with two sisters who are much older than me means that my love for luxury designer goods started way too early in my life. Before I even finished university. But with everything in life, if there is a will there is a way and I manage to curate a sizable collection of luxury designer handbags that I am content with. Slowly but surely is definitely the name of the game. I know, never say never, but I am at the point in my life where I am pretty happy with my Chanel collection and I am not sure if there is anything else I'd do to change things up. 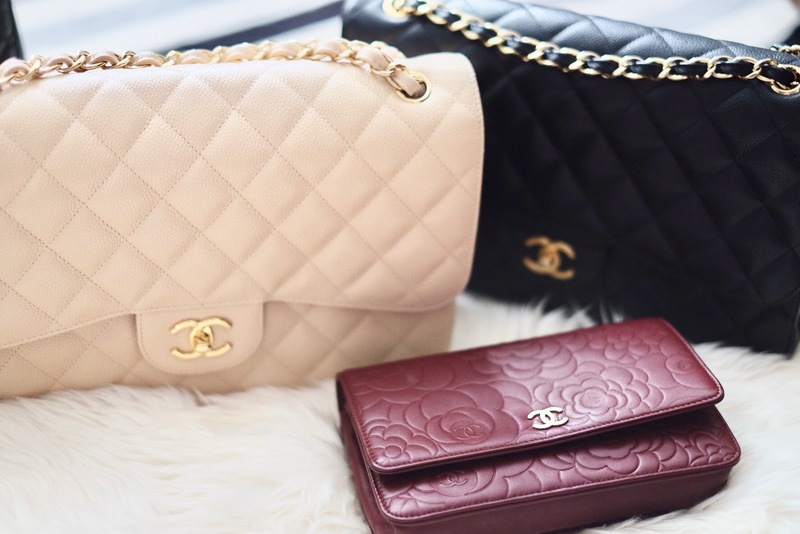 Of course, there is always the option of adding more colours or different style into my collection, but as you already know, Chanel handbags are costly (and their prices continually go up every year). It is not a bad place to be when I say I feel content with what I have given these are classic and timeless pieces which will take me through life. The Half Moon Caviar Clutch is the debut item in my collection. Yes, it was bought when I had a top-end Black Tie event to attend almost 10 years ago and while it felt like a total splurge at that time, the Half Moon Caviar Clutch has been my go-to dinner bag ever since. Until this day, it takes away one more thing to think about when I am getting ready for an event - be it a wedding or a Christmas party. I've also written a piece on how having the Half Moon Classic Clutch has helped me get ready for party seasons efficiently. Read the post if you haven't. Next came in the Camellia Embossed Wallet on Chain (WOC) which was a birthday present from me to me. It was definitely loved at first sight as I went into the store thinking of getting a Caviar leather version, but the colour red and the embossed Camellia just spoke to me that I had to take it home. The lambskin makes it less hardy as compared to one that is made of Caviar leather but I have no regrets and absolutely love it. While it took me a while to get my hands on the Classic Chanel Flap, I finally bit the bullet after I had completed the purchase of my apartment and furnished it. 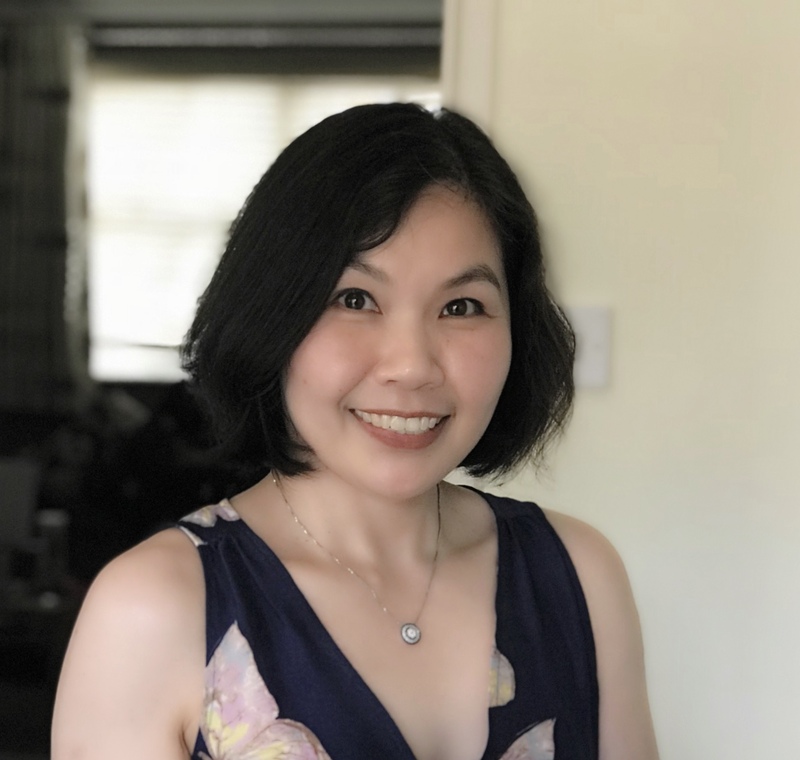 As an Accountant by training, I am glad I fully appreciate the importance of financial management and no matter how passionate I am about luxury fashion items, I definitely take my financial situation into consideration, as one should! It's not worth getting into a debt situation for the sake of fashion or style. So when I had some money left from the pot that I had saved up for the newly purchased home, I decided that I could treat myself to the Chanel Classic Flap because is there even a point of owning a luxury designer item when you don't have a roof above your head? I always knew that I wanted a Classic Chanel Flap in Black and one in Beige so that I can switch it up between seasons. 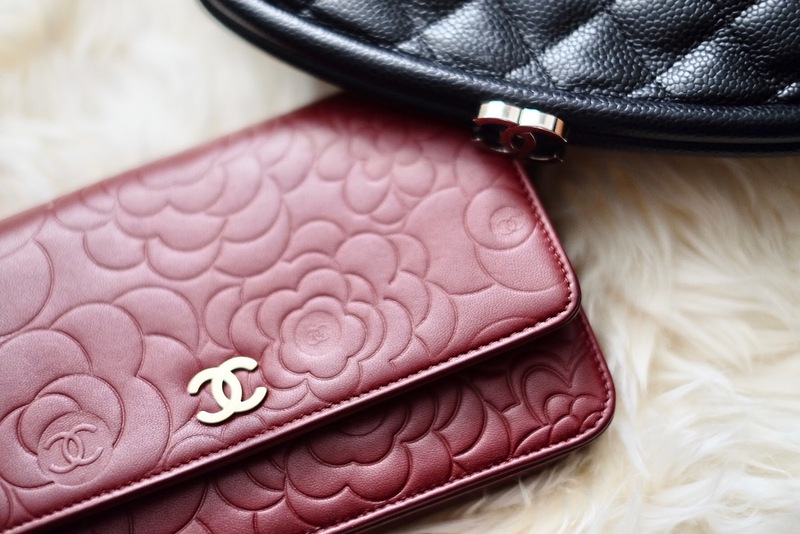 The Beige definitely goes better with pastel colours and in Spring but I have to say, between the two, I definitely have used the Black Classic Chanel Flap more often than the Beige. So my advice is if you are only going to get one, go for Black. Finally the Grande Shopping Tote. This is definitely the last addition to my collection (so far), and I made the plunge knowing that Chanel was discontinuing it two years ago. I contemplated it for a long time and caved in at the end as I was worried I would regret not having it in my collection once it's no longer in circulation.